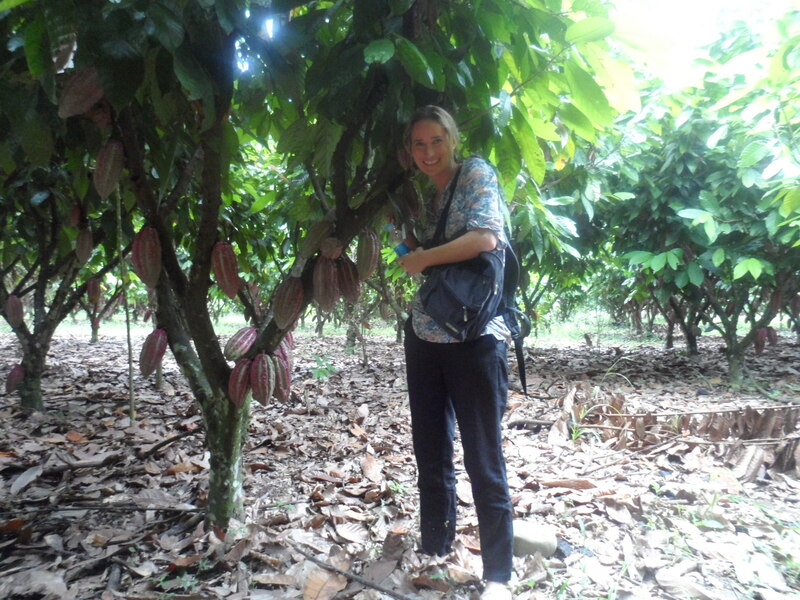 Spot the differences: Julieta y las Cacaoteras! Home › Cocoa › Spot the differences: Julieta y las Cacaoteras! ‹ On the way to becoming a local celebrity! 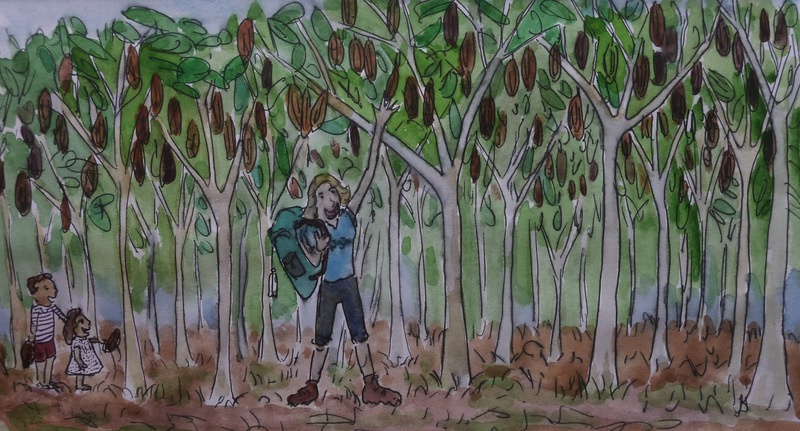 I find it interesting (and not surprising) that in the artist’s rendition of your photo, the cacao pods are NOT growing where they do naturally….primarily on the trunks and limbs of the cacao tree….